As you know, I love to use my Slow Cooker. 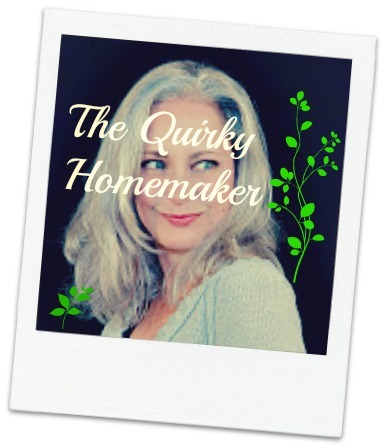 It is one of my favorite small appliances in my kitchen! Especially in the Summertime. AND as so many of my recipes begin. . . . . . "I had some _________________ that I needed to use." This time the _____________ that I needed to use was some little red potatoes. I bought them from GFS, and if you know anything about GFS, you know that you buy HUGE quantities of whatever you're buying. The bag was a 10 pound bag that I've been chipping away at~~ no pun intended, because I haven't actually made chips with them!~~ for the last several weeks. I bought them originally to make breakfast potatoes on our first camping trip. Camping breakfast potatoes are SO yummy! I actually started these the same way I started my camping potatoes. I sliced them 1/4 inch thick and parboiled them for 7 minutes before I put them in the slow cooker. I know what you're thinking!!! WHY would I want to pre-cook something before I put it in the slow cooker? Slow cooking is supposed to be easy! 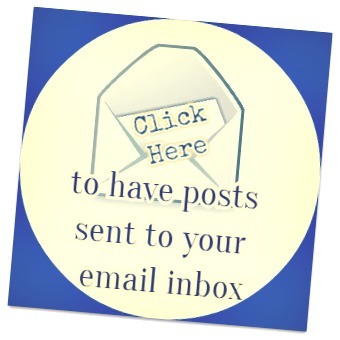 Dump stuff in, push a button and go! Well. . . . . . . . I didn't think about doing this until 1:00 in the afternoon and that's not enough time to get potatoes soft enough in a slow cooker if you want to eat by 6:00. Not for us anyway. If there's even the slightest raw potato taste, my hubby doesn't enjoy it. And I'm not gonna lie to you. These potatoes were pretty darn greasy. If you're searching for comfort food in the Summertime, this is it. If you prefer to use less butter and olive oil, I'm sure it would be fine. I will probably use less next time. Probably. Maybe. . . . . . maybe I'll leave it just the same! 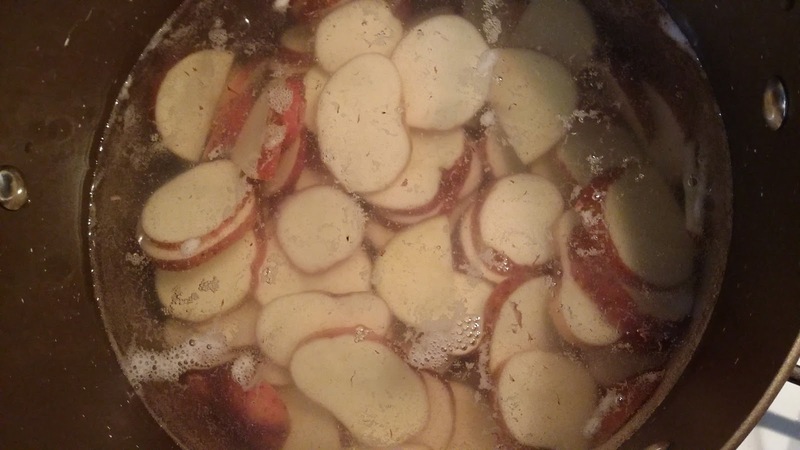 Place all potato slices in cold water in large pot on the kitchen stove. Cook on medium-high, covered until the water comes to a rolling boil. Turn the burner off and let sit with lid on for 7 minutes. 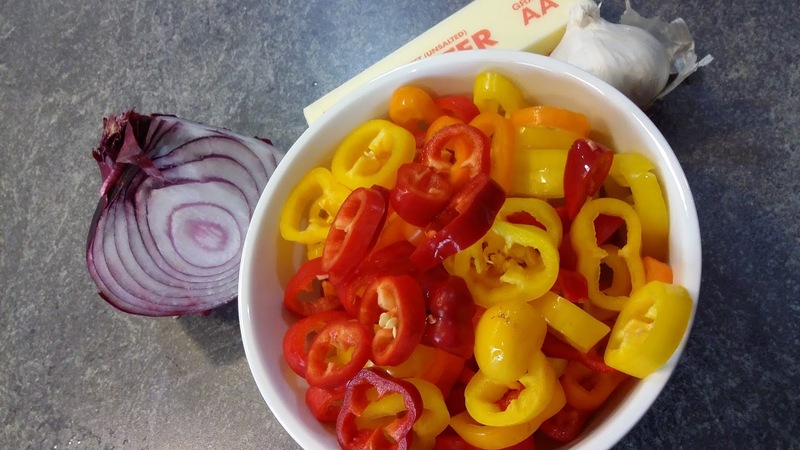 Slice mini sweet peppers into small rings. Whisk together the oils, lemon juice, salt, sugar, black pepper, onion powder, paprika, parsley, thyme and minced garlic cloves. Cut butter into 3 sections, 1 Tablespoon each and then chop each tablespoon (about 16 pieces per each Tablespoon). Place 1 Tablespoon of chopped butter into bottom of slow cooker. Place a layer of potato slices down. 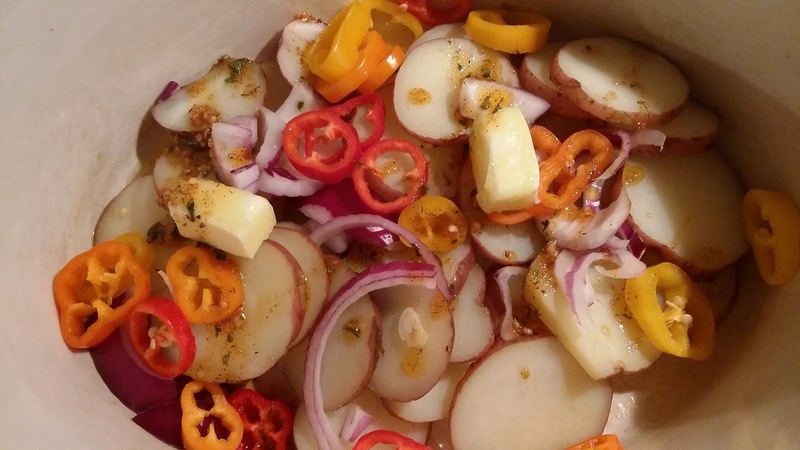 Place some of the pepper rings and onion slices on top of the potatoes. Sprinkle the next layer of chopped butter on top of the potatoes, peppers and onions. 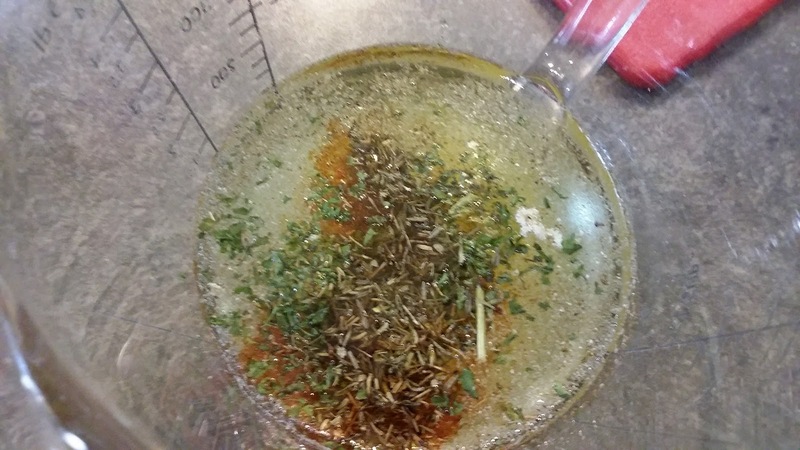 Spoon about a 1/3 of the olive oil and herb mixture over the vegetables. Repeat the layers until you use all of your veggies and dressing. Cook on high for 3 - 4 hours. You can stir occasionally if you wish. The longer is sits, the better it gets. The whole kitchen will smell aromatic! 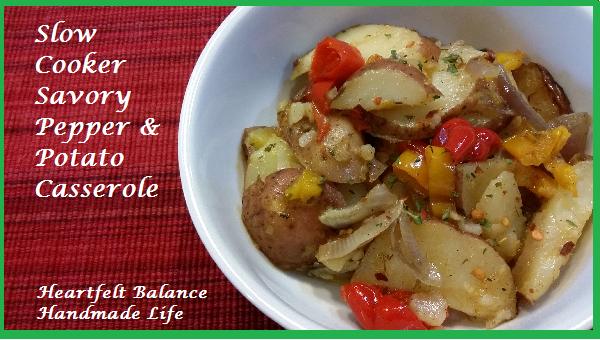 What is your favorite way to eat red potatoes?